One of the West’s most insightful observers of Turkish affairs is South African journalist and author Hugh Pope, who for years headed the Istanbul office of the Wall Street Journal. Pope has an op-ed in today’s Haaretz, Israel’s most respected newspaper headlined Erdogan is not the bogeyman. In it he debunks the idea of an “Islamist foreign policy for Turkey, and argues that Turkey’s historic pro-Europe tilt still matters most, and that the deterioration of relations with Israel is a reflection of widespread public opinion in Turkey that Israel is treating the Palestinians unjustly. 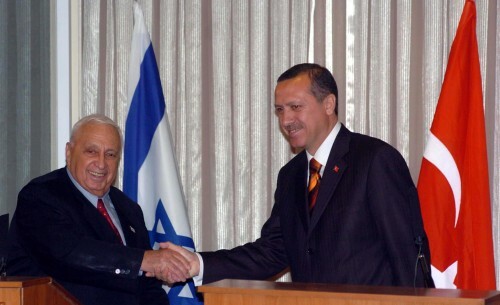 He believes that Turkey will be eager to mend relations with Israel when Israel is perceived as seeking peace. Pope’s op-ed is worth reading. This entry was posted on June 18, 2010 at 1:07 pm and is filed under Ethics-general, International, Politics, Tolerance. You can follow any responses to this entry through the RSS 2.0 feed. You can leave a response, or trackback from your own site.